Beautiful house in a quiet area with swimming pool, Provençal environment, sunny and shaded with large trees linden, oaks, grass and flowers. Main house with its small independent bastidon very close, summer kitchen, teak garden furniture, protected pool, petanque, ping pong etc ... Enclosed grounds of 3350 m2. Automatic gate. In private way. Property near the golf course of Ste Victoire. View of Sainte Victoire. 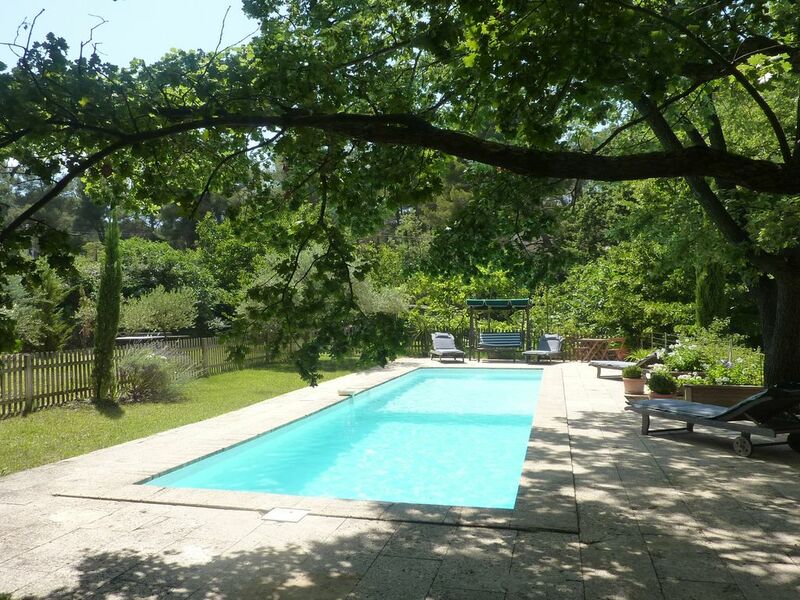 Near Aix en Provence, rental located in Fuveau. All shops nearby. Ground floor house. In July and August minimum rental 2 weeks at a price of 4950 euros. Price for 3 weeks 6600 euros. Hifi, flat screen TV, Canal + and sat channel, video, piano. Property south-east of Aix en Provence, south of the Montagne Sainte Victoire.